Flashlights differ in shapes, sizes, and in the functions which they perform. For instance, pocket flashlights are very different from headlamps and even among headlamps, there are many varieties – some are ideal for hunting while others are specifically made for kids. 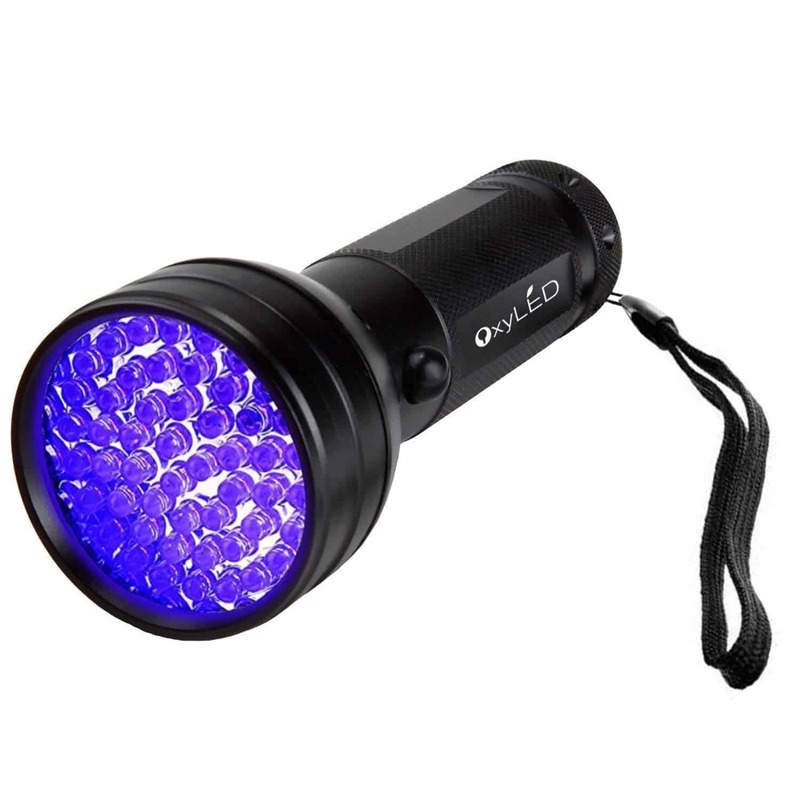 Similarly, ultraviolet flashlight, also known as UV flashlight, fulfill another role. UV flashlight is also commonly referred to as black light. However, they don’t give out black colored light, the beam produced by them is, in fact, purple. Although Human beings generally cannot see most ultraviolet lights, there is a very small part of the UV spectrum which is visible to the Human eye. This small spectrum is incorporated into the best UV light. If you’ve seen a UV flashlight, you’ll know that the light is not very powerful. However, this light can show you a wide variety of hidden things that you wouldn’t be able to see normally. 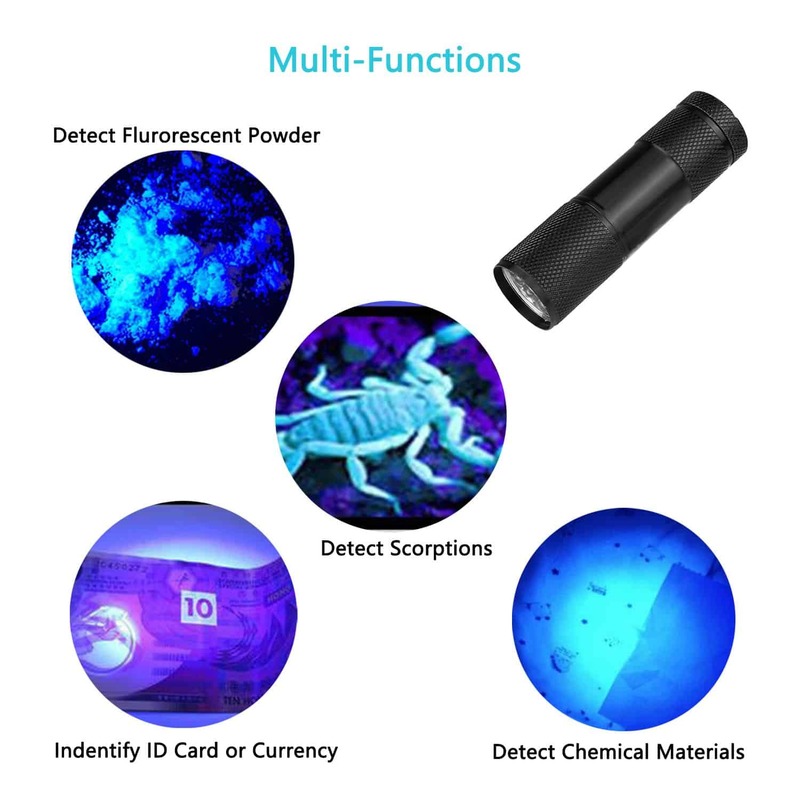 UV flashlight is used by the police and other law enforcement agencies to investigate crime scenes or checking for counterfeit money, but they can also prove useful for detecting things such as pet stains, how clean a hotel room is, and to even hunt for scorpions. 2 Buying Guide: How to Buy the Right UV Flashlight in 2019? 3 What is the Perfect Size for the Best UV Flashlight? 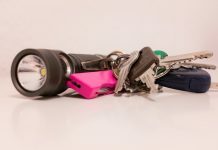 There are many other uses of these ultraviolet flashlights but we don’t need to get into that, for now, let’s take a look at the top 10 UV lights in the market for 2019. When you first look at this UV flashlight, it looks like a regular flashlight. The handle for this is textured to ensure that you get a good grip and don’t accidentally drop it. It is around 3.74 inches long with a diameter of around 1.18 inches, weighing at a mere 2.4 ounces which makes it ideal for carrying around. You can just slip in into your pant or purse pocket, and you’re good to go. Additionally, the TaoTronics flashlight is a spot UV flashlight. It produces a good beam that allows you to locate stains without needing to hold the flashlight too close to the object. The wavelength output for this UV flashlight is actually 395 nm as you will need three AAA batteries to make this work. One set of such batteries will be able to give you around five hours of use. Of course, to counter this, you can keep a spare stack of batteries. This light is really helpful in locating food stains, checking for authentic ID documents and currency, as well as urine and other animal deposits. In addition to all this, the flashlight will also help you in locating racks or cracks in pottery that aren’t usually visible to the naked eye. Even with all these features, this one costs less than 10 dollars making it extremely affordable for all. The second flashlight on our list is simple and very elegant in its design, the handle is comfortable to hold onto, and the head is much larger than the Taotronics. This has to do with the fact that this flashlight has 51 LEDs which means it offers a very bright source of light. The best part about this flashlight is that its handle is specially designed to be anti-slip so you don’t end up accidentally dropping your flashlight. The light itself is mainly made from aluminum and coated with black paint which makes it durable as well as providing you with the stylish look. This UV flashlight works with three AA batteries and offers a frequency of 390-395 nm. Furthermore, it weighs only 10.1 ounces, so it’s easy for you to carry it around. According to these features, the Escolite UV flashlight is quite similar to the Taotronics one, but the additional bulbs allow the Escolite flashlight to be used even in the outdoors. Lastly, the Escolite flashlight is also waterproof, something which our first product laked. If you’re looking for the perfect portable flashlight for outdoor use, the Escolite UV Flashlight is the perfect option. Contrary to the other best UV light options on our list, the Kobra UV black light adopts a slightly different style. It still has a slimline handle to hold the torch, but the head of the flashlight is much larger, quite a lot like the Escolite. The handle of this flashlight has a textured surface which makes gripping the flashlight firmly easier. The on/off switch for this flashlight is located right under its bulbous head. Furthermore, the flashlight has around 100 LEDs which is far more than any other UV flashlight on our list. It works on the same frequency as the previous flashlights, i.e., 395 nm and despite having that many LEDs, the flashlight still weighs below 10 pounds. The flashlight’s dimensions are around 8 inches long and 2 inches wide. However, the flashlight’s head is slightly bigger and has a diameter of around 3.5 inches. The wide diameter makes it a bit difficult to carry around so you’ll have to figure that out by yourself. In addition to all this, the flashlight’s beam maximum beam throw is around 25 feet long and 8 feet wide. This definitely makes the Kobra UV flashlight the strongest one on our list. However, to power such a strong flashlight, you require equally powerful batteries. It uses six AA batteries with an average 20 hours runtime. 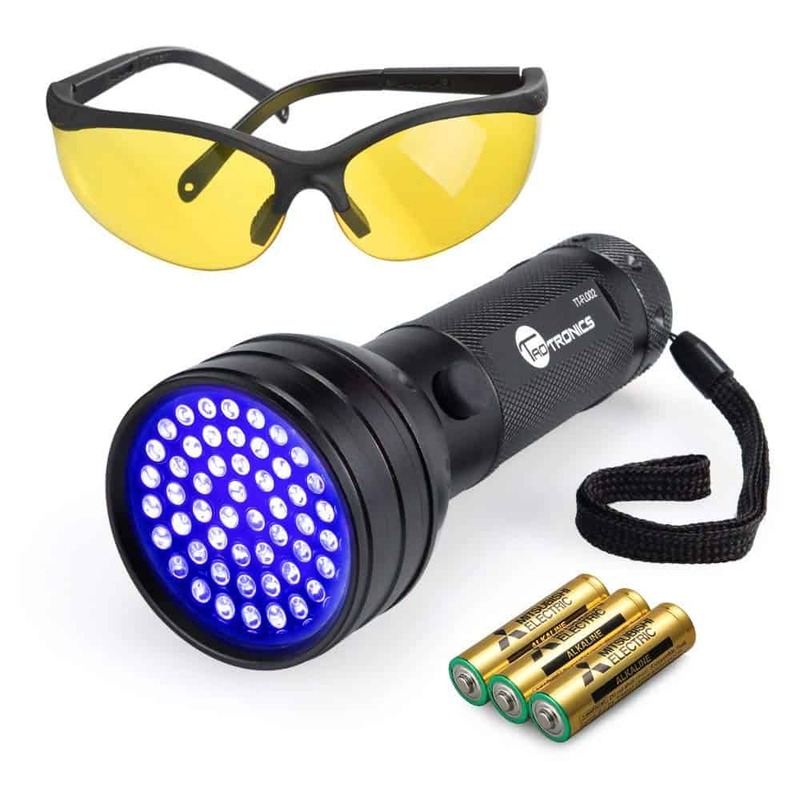 This flashlight is one of the best and most powerful flashlights available in the market which is used by many law enforcement agencies as well. The second Taotronics item on our list takes things up a notch. The basic design for this blacklight is similar to the 12 LEDs one, but the slim handle opens into a larger head. The reason for the large head is the 51 LEDs used in this model. Similar to the previous model, the handle of this flashlight is textured which makes it easier to hold. Furthermore, this blacklight uses three AAA batteries, but that’s not all. The UV flashlight comes with a pair of UV sunglasses. These glasses have standard lenses with a UV tint that can be used to detect stains on any surface. The flashlight, on the other hand, uses the standard frequency of 395 nm. The dimensions are around 5.75 inches long and around 2.2 inches wide which is relatively larger than the other flashlights on our list. However, despite the relatively larger size, the flashlight weighs a mere 6.9 ounces which is light enough to be carried around. Lastly, the flashlight costs less than 20 dollars, so it’s definitely good for your wallet. The Findway UV blacklight is black and has a thick band of textured metal at each end of the light. It’s designed in this way to ensure you have a strong grip on the flashlight and don’t drop it. It measures 3.6 inches in length and just 1 inch in its width, making this flashlight the most compact one on our list. It has 9 LEDs set in its head, and it works using 3 AAA batteries. However, these aren’t supplied with the torch so you’ll have to make that investment yourself. 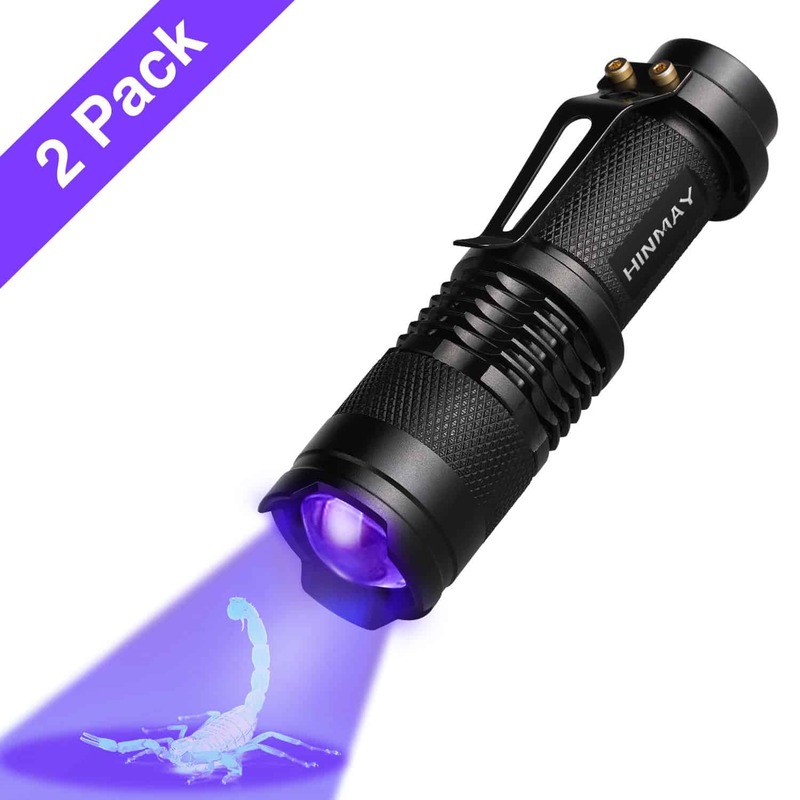 The best part about this UV flashlight is that it’s really cheap as a pack of five of these will cost you less than 15 dollars. Despite being inexpensive, these flashlights are excellent at showing you stains around your home or a hotel room. 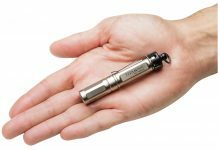 The flashlight is made from aluminum alloy and weighs around 6.7 ounces for the whole package which contains five pieces. In addition to that, the Findway blacklight also incorporates a belt clip which allows the user to clip on the torch to their belt or bag. However, the torch isn’t waterproof or shockproof, so a little bit of care is required to make it work properly. The Vansky blacklight comes in a black color and has a slim handle which measures only 1.4 inches in its diameter. The total length of this flashlight is around 5.7 inches. The head is slightly bigger due to the 51 LEDs and measures around 2.2 inches in its diameter. It weighs just 7.2 ounces which makes it the perfect weight to be used around your house as it’s not too heavy. 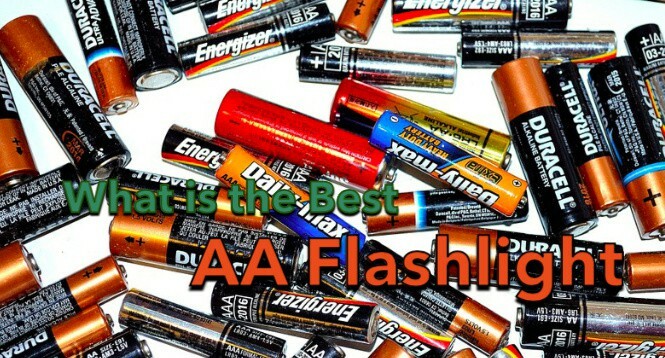 The flashlight requires two AAA batteries to work which unfortunately are not included in the package. Furthermore, the flashlight is practical and perfect for revealing dried dog, cat and rodent stains that can’t be identified by the human eye. In addition to that, the flashlight is a pro at spotting scorpions, authenticate currency and ID documents such as your driver’s license, ID card or passports. The best part we find about this flashlight is that due to its 51 LEDs, the flashlight covers a larger area. Therefore, you wouldn’t have to hold the light too close to the object you’re inspecting. 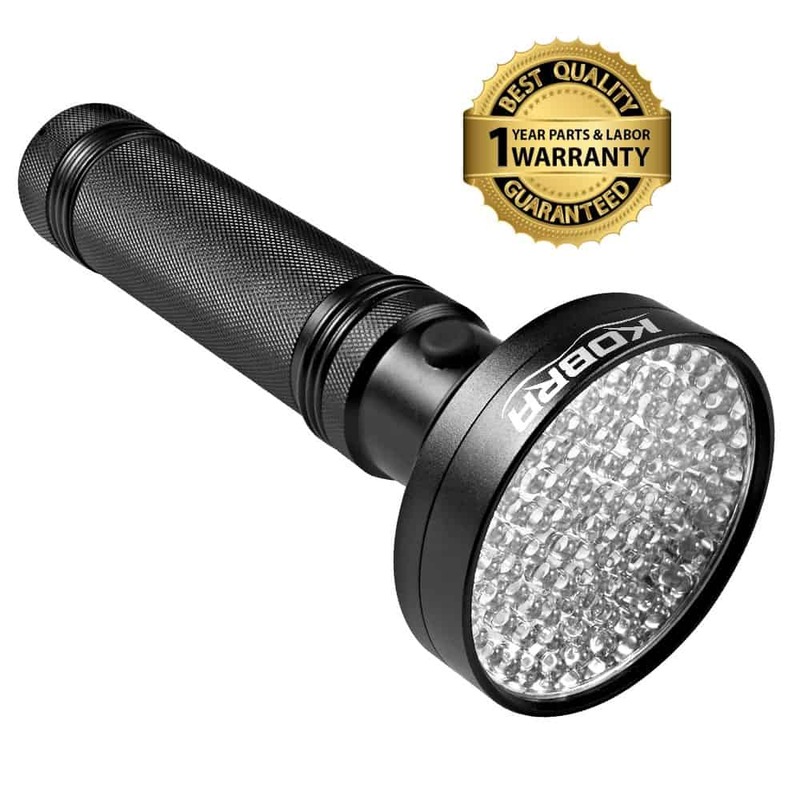 The Oxyled Flashlight goes beyond the normal commercial standards and offers a very rugged look. The flashlight measures around 5.8 inches in length with the body diameter of 1.42 inches. The head is slightly larger to accommodate the 51 LEDs, and it measures around 2.25 in its diameter. Because of the 51 LEDs, this flashlight gives off a 30% brighter beam than the other flashlights. With the ability to cover a large area without compromising on the quality of the beam, this UV flashlight has rightfully earned its place on our list. 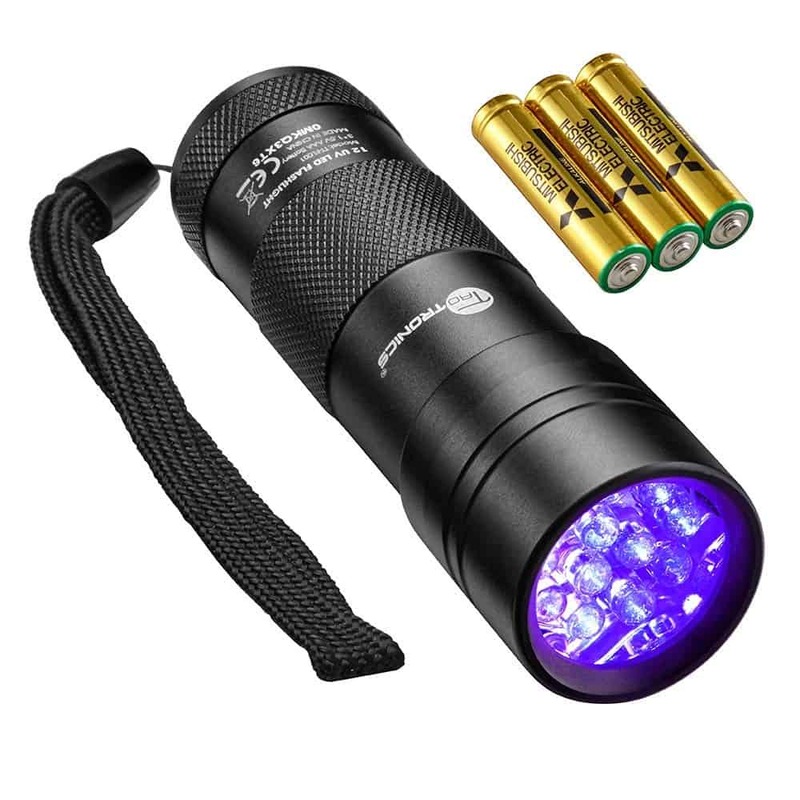 The best part about this flashlight is that this flashlight uses three AAA batteries which can work continuously for 20 hours using one set of batteries. The bulb life of this flashlight is up to 100,000 hours, and it can very easily be used to detect pet urine or any kinds of stains on all kinds of fabrics. Lastly, the UV flashlight is super lightweight and comes with a 30-day money back guarantee, 12-month replacement warranty and lifetime support guarantee. The Loftek UV flashlight costs less than 10 dollars, but it meets all your needs. Whether you need the flashlight for law enforcement purposes or simply for maintaining hygiene at home, this flashlight offers everything. With a wavelength of 395 nm, this flashlight covers a wide range. If you’re looking for a high-end hotel room inspection, hidden pet stains, rodent contamination or authentification for ID documents and currency, we wouldn’t recommend anything else. The flashlight is constructed using high-grade aluminum, and it has a high battery life of up to 100,000 hours. 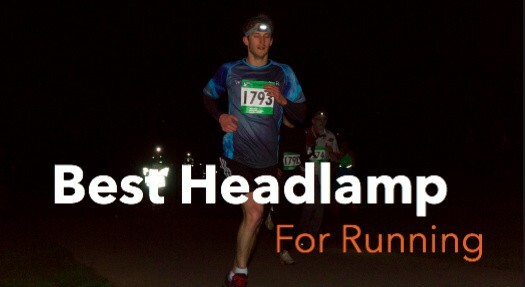 The head contains 51 LEDs making this flashlight quite powerful. 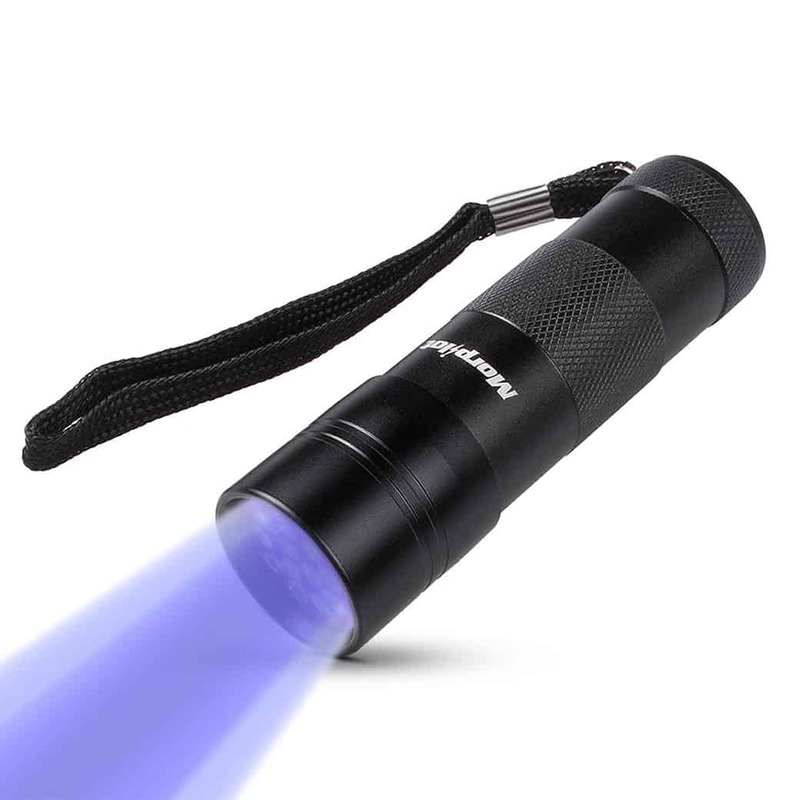 This UV flashlight measures around 6.7 inches with the handle’s diameter being 2.8 inches, the head is slightly bigger and has a diameter of 3.1 inches. Lastly, the final product weighs around 7.8 ounces and comes with one year manufacturer’s warranty. The flashlight uses three AA batteries to work, but unfortunately, they aren’t included in the package. The Morpilot UV flashlight follows the standard format like most of these UV flashlights follow, its colored black and the lower half of its handle is textured to ensure you get a good grip on the flashlight. The flashlight costs less than 10 dollars yet offers amazing features, so it’s definitely efficient in usage. The flashlight measures just 3.78 inches long and is 1.18 inches wide with a weight of just 1.8 ounces. 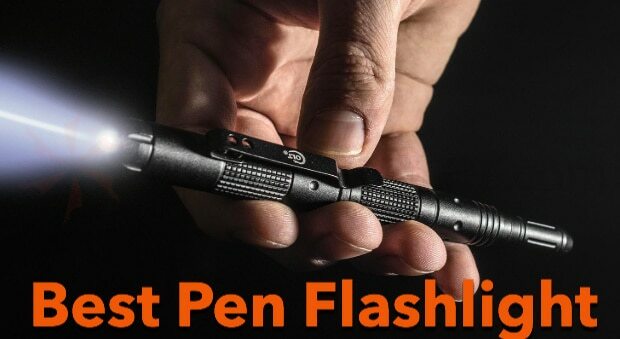 You will barely notice this flashlight in your pocket or hand. Furthermore, the flashlight uses three AAA batteries to work. The wavelength this flashlight offers is around 395 nm. It can help you illuminate all the stains in your home. The beam works on all surfaces and will help you identify all kinds of pet or food stains. 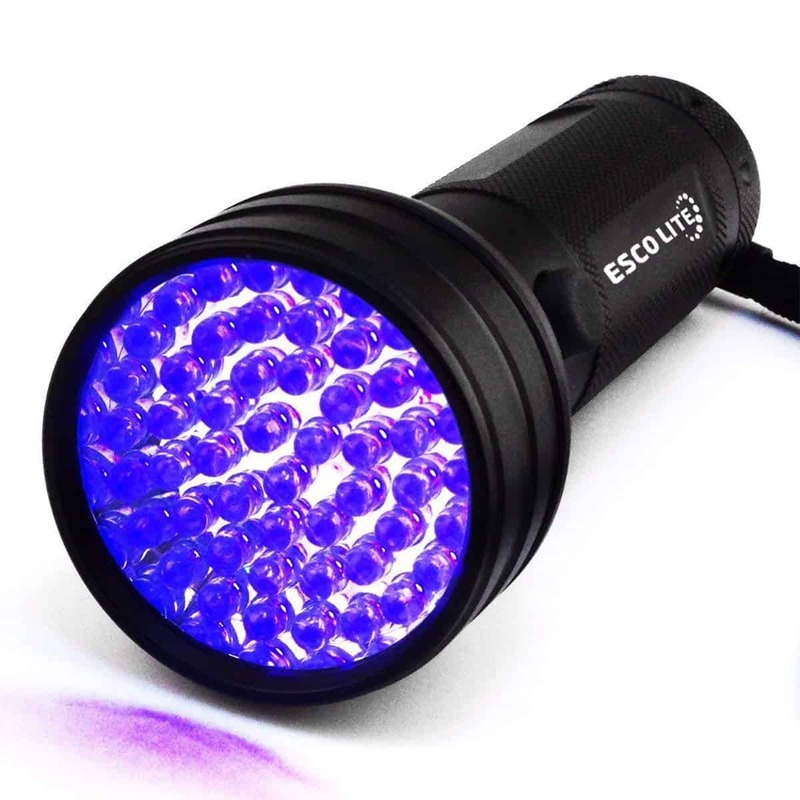 The scorpion UV flashlight is engineered in such a way that it offers an ultra bright 395 nm wavelength UV light. 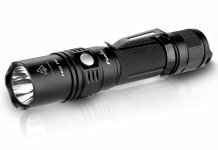 The flashlight is made from high-grade aluminum making it durable and impact resistant. The flashlight measures 6.2 inches long with a diameter of 2.4 inches and weighs only 7 ounces. Furthermore, the scorpion is an expert at hunting for scorpions, inspecting hotel rooms, finding rodent and pet stains, detecting fake money and the fluorescent material. It operates using three AA batteries which are a part of the package. The flashlight has a long battery life and is ideal for both personal and professional use. The most noteworthy feature about this flashlight is that it’s completely water resistant and offers a wider range. Buying Guide: How to Buy the Right UV Flashlight in 2019? We’ve given you our top picks for the best UV flashlights to buy in 2019, but before you make your final decision, it’s essential for you to understand what principles the UV flashlights work on. Throughout the article, you must have noticed how ‘nm’ has been repeated again and again. The nm stands for nanometers as ultraviolet light covers the range from 100 nm to 400 nm. This range is further broken down into specific segments which you can read about here. The range that we, humans can see is between 315-400 nm. Most of the UV flashlights covered here measure somewhere between 390-400 nanometers and this is the top end of this range, and ultraviolet flashlights should be within this range. As only this range will allow you to see the stains and maximize your flashlight’s battery life. Therefore, make sure you pay attention to the UV light wavelength your desired UV flashlight offers. Besides the ultraviolet range, there are several other factors you should consider before buying your UV flashlight. What is the Perfect Size for the Best UV Flashlight? 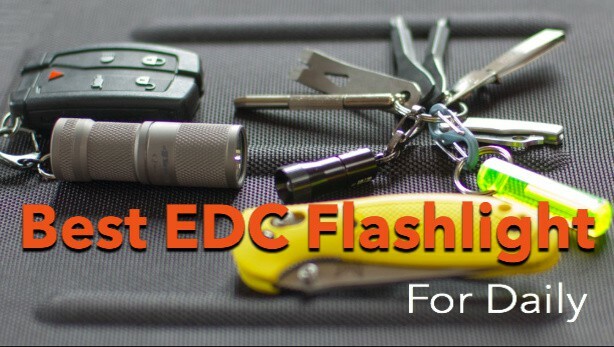 Most of the flashlights on our list are quite small, but your requirements could be different. Ask yourself; what do you need the UV flashlight for? Are you a traveler and need a UV flashlight that you can take with you everywhere or do you need one just for your home? Compact flashlights are easy to carry but having a larger one is much harder to lose. Furthermore, the size of your hand and how do you usually hold things will also affect the best UV flashlight size for you. 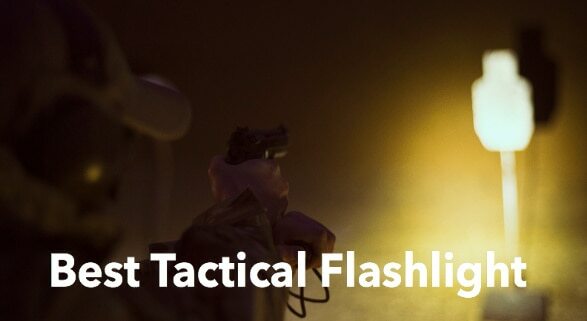 Most of the flashlights on our list have a wrist strap which becomes quite useful in terms of keeping the flashlight safe so you should consider that too. The more powerful your flashlight is, the easier it will be to spot stains. However, powerful flashlights use more battery power and are relatively more expensive. Like how the Kobra UV light is the most powerful one with 100 LEDs and uses six AAA batteries while the others use only three. 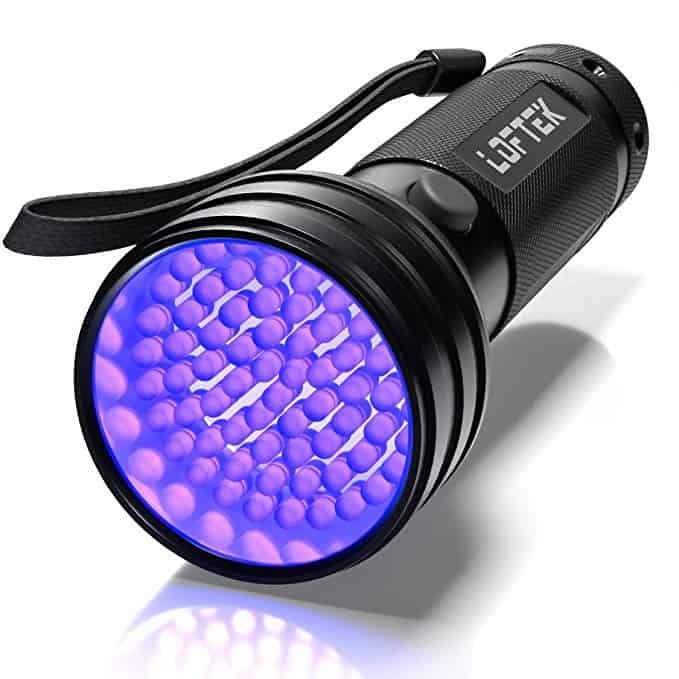 This obviously doesn’t make that big of a difference if you are using the UV flashlight occasionally, but for everyday use, it can be quite expensive. Therefore, keep in mind your usage and the power required. In any case, opting for a mid-range UV flashlight is the better option, but again, the main question is how much power do you need? This is perhaps the most important thing to consider before you go on to make your final decision. Ask yourself, where do you plan to use it? If you’re working at a place where accuracy is really important, getting a powerful flashlight would be the better option, so there is no margin for error. On the other hand, if you’re a traveler and just wish to check your hotel rooms for hygiene then having a smaller UV flashlight would work better as you want to be really discreet as well as easy to carry. Another important thing to consider is the company of the UV flashlight you plan on buying. The brands that are popular are more likely to supply a better quality light than the less popular brands. One of the best ways to ensure the company is good is to check their website and look at the reviews. Make sure you take a good look at the reviews for all the flashlights and only after you’re sure that the majority of the users were satisfied, then buy that flashlight. It’s important for you to check the general consensus of the customers and the total percentage of customers that were satisfied. Lastly, the most important feature to be considered before you make your decision to buy the flashlight is whether you can even afford it. It’s possible to purchase a flashlight under 10 dollars – our top picks have several of those. However, the statement ‘you get what you pay for’ does carry some weight to it. It’s quite obvious that the brighter flashlights that offer durability and long life will be more expensive. 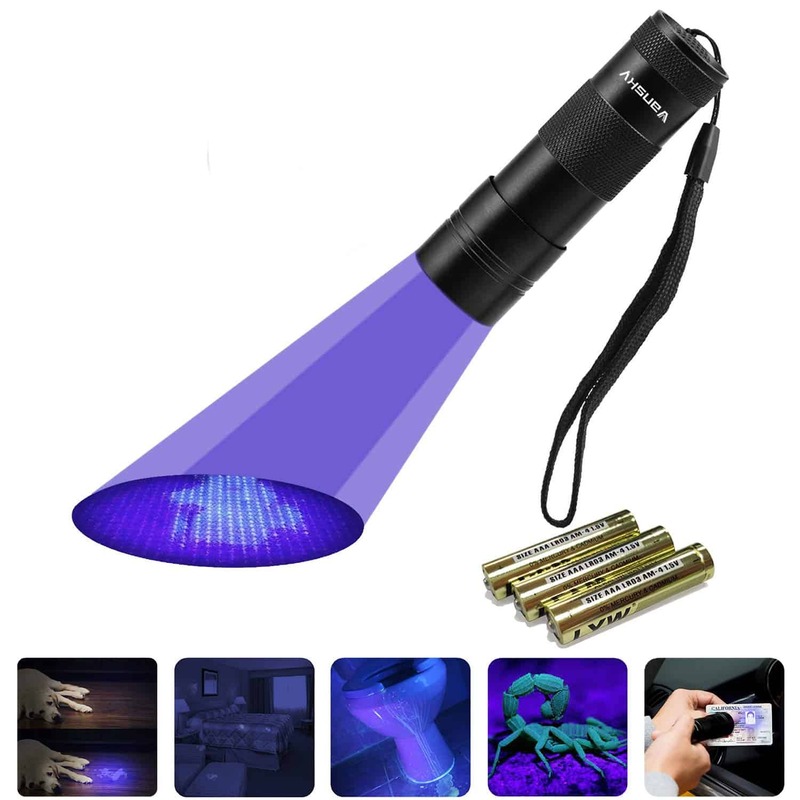 But it’s quite unlikely for you to go through lengths to purchase the best one as even the most expensive UV flashlight costs less than 30 dollars. In the end, it’s your decision about how much you’d want to spend and what do you want to get in that. An ultraviolet flashlight can help you ensure you have a clean home. It also helps you identify original documents from fake ones. The flashlights discussed above are currently the best ones available in the market, offering maximum functionalities. We’ve tried to list down all the important factors that can influence your decision to buy the best UV flashlight. We hope you find the perfect one for your use!